This work was fascinating to read and was neither over dramatic or under written. The stories were lively and interesting and the additon of old photos and draqwings helped fill out the book. 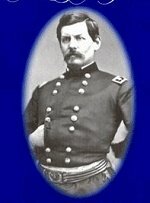 A brilliant engineer and highly capable organizer, George B. McClellan just wasn't an army commander. 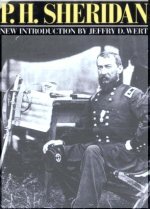 In that position he proved the weakness of West Point in its early years; the academy was simply geared to the production of engineers and company officers for a small, pre-Civil War regular army. The Philadelphia native had entered the academy from the University of Pennsylvania and graduated in 1846 in the second position of his class. Accordingly he was assigned to the engineers. He earned two brevets under Winfield Scott in Mexico and later served at his alma mater. The slow promotions in the regular army prompted him to take a captaincy in the cavalry in the 1855 expansion of the service. He was dispatched to study European armies and filed an extensive report centering on the Crimean War siege operations at Sebastopol. This experience would later influence his decisions on the Virginia Peninsula. During the rest of his year overseas he travelled widely and altered the Prussian and Hungarian cavalry saddles into the "McClellan Saddle" that was used until the army abolished its mounted arm. He resigned his commission on January 16, 1857, and entered railroad engineering. 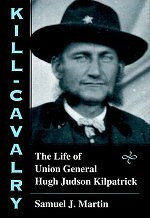 He worked for the Illinois Central-as chief engineer and vice president and just before the Civil War became a division president for the Ohio & Mississippi. 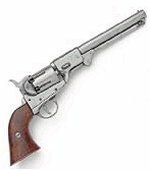 Despite his success in the private field he was happy to reenter the military in 1862. 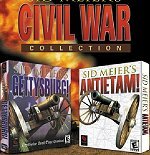 His assignments included: major general, Ohio Volunteers (April 23, 1861); commanding Ohio Militia (April 23 - May 13, 1861); commanding Army of Occupation, West Virginia, Department of the Ohio and the department (May 13-July 23, 1861); major general, USA (May 14, 1861); commanding Military Division of the Potomac (July 25 - August 15, 1861); commanding Army and Department of the Potomac (August 15, 1861 - November 9, 1862); and commander-in-chief, USA (November 5, 1861 - March 11, 1862). Initially appointed by Ohio's Governor William Dennison, he was soon made second only to Scott by a former attorney for the Illinois Central-Abraham Lincoln. Letting his rapid rise from retired captain to major general go to his head, he issued comical denials of any desire to become a dictator. By then he had won some minor victories in western Virginia, receiving the Thanks of Congress on July 16, 1861, although much of the credit belonged to his subordinates there and in Kentucky. He was called to take charge at Washington after the disaster at Ist Bull Run, but his behavior toward Scott and the civil authorities was unpardonable. Now called "The Young Napoleon," he actively worked for Scott's retirement and was named in his place. His engineering and organizational skills shined bright in the creation of the Army of the Potomac, a mighty machine. But he did not advance and refused to divulge his plans to the civilians over him. He even refused to see the president on one occasion. In December 1861 he was downed by typhoid and this prolonged the delays. By the time he did advance on Manassas, Joseph E. Johnston's army had withdrawn. McClellan then planned an advance on Richmond by way of the Peninsula between the James and York Rivers. It was a good plan despite Lincoln's fears for Washington. But McClellan did not have the ability to direct it. The movement started well but-remembering Sebastopol-he begin siege operations at Yorktown which allowed Johnston to move in reinforcements. When Johnston withdrew McClellan followed, fighting at Williamsburg, to within sight of the Confederate capital. He then stopped. He was constantly overestimating the strength of the enemy facing him. 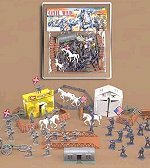 It was these constant delays which prompted Lincoln to suspend him from command of all the armies on March 11, 1862, so that he could concentrate on the Army of the Potomac and Richmond. He survived the Confederate counterattack at Seven Pines, principally through confusion in the Confederate army and the actions of his own subordinates. When Lee attacked him in the Seven Days in late June he failed to take the opportunity to strike at Richmond along the weakly defended south side of the Chickahominy River. Instead he panicked and ordered a dangerous change of base from the York to the James River in the facing of Lee's attacks. 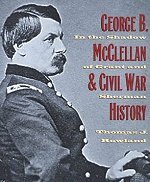 Most of the battles fought in the movement were Union successes but the overall outcome of the campaign was negative as a result of McClellan's weaknesses. 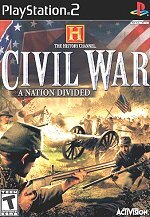 Safely entrenched at Harrison's Landing he began condemning the War Department, Lincoln, and Stanton, blaming them for the defeat. Finally it was decided in Washington to abandon the campaign and transfer most of McCiellan's men to John Pope's army in northern Virginia. 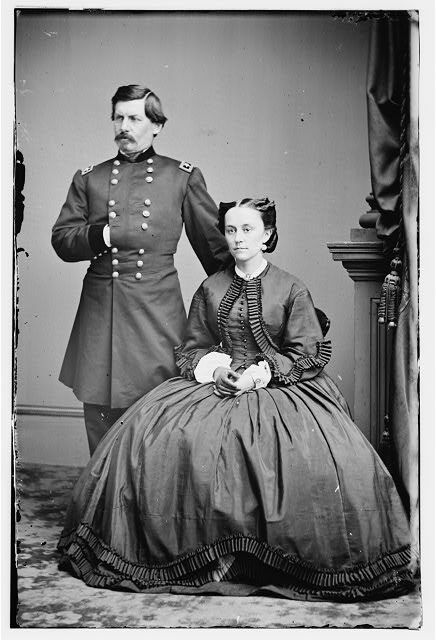 There were charges that McClellan-now called by the press "Mac the Unready" and "The Little Corporal of Unsought Fields"was especially slow in cooperating. 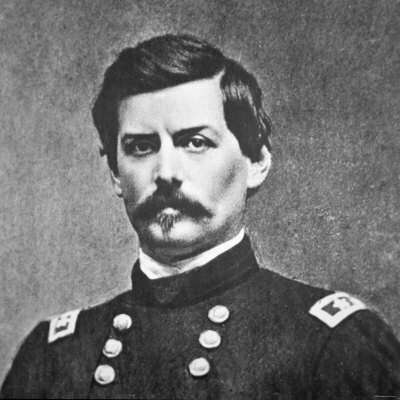 With Pope defeated at 2nd Bull Run and his men streaming back to the Washington fortifications, McClellan was restored to active command of his reconstituted army and was welcomed by his men who affectionately called him "Little Mac." In the Maryland Campaign he advanced to confront Lee in the western part of the state and moved uncharacteristically fast when some of his command found a copy of Lee's orders for the movement of his troops. Lee fought several delaying actions along South Mountain in order to reconcentrate his army. His caution returning, McClellan slowed down, and Lee was able to get most of his men in line at Antietam. 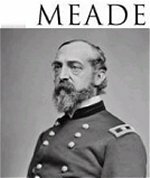 McClellan attacked piecemeal and his attacks failed to crush Lee who was heavily outnumbered with his back to the Potomac River. Lincoln was extremely upset by the escape of Lee and his army but nonetheless used the "victory" to issue the Emancipation Proclamation. 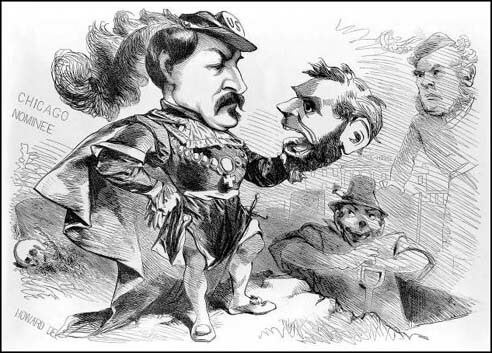 Continuing his dilatory tactics, McClellan resorted to constant demands for more men and called for massive reequipping and fresh mounts for his cavalry. Then for the second time JEB Stuart's cavalry rode completely around the Army of the Potomac, Under orders from the War Department, McClellan relinquished command on November 9, 1862, and repaired to his Trenton, New Jersey, home to await new directives destined never to arrive. The Democratic candidate for president in 1864, he was hampered by the party's plank calling for an end to the war, which was labeled a failure. He himself denounced the plank and was for the rigorous pursuit of victory. At first it appeared that he would defeat Lincoln, but Union victories in the field diminished the public's war weariness. Winning in only three states, he resigned from the army on election day. Active in state politics, he served as New Jersey's governor in the late 1870's and early 1880's. He died on October 29, 1885, at Orange, New Jersey, and is buried in Riverview Cemetery, Trenton. was published in the New York World during the presidential campaign of 1864.